The children in Nursery have had a fun filled term and have been very busy creating and making a number of things. 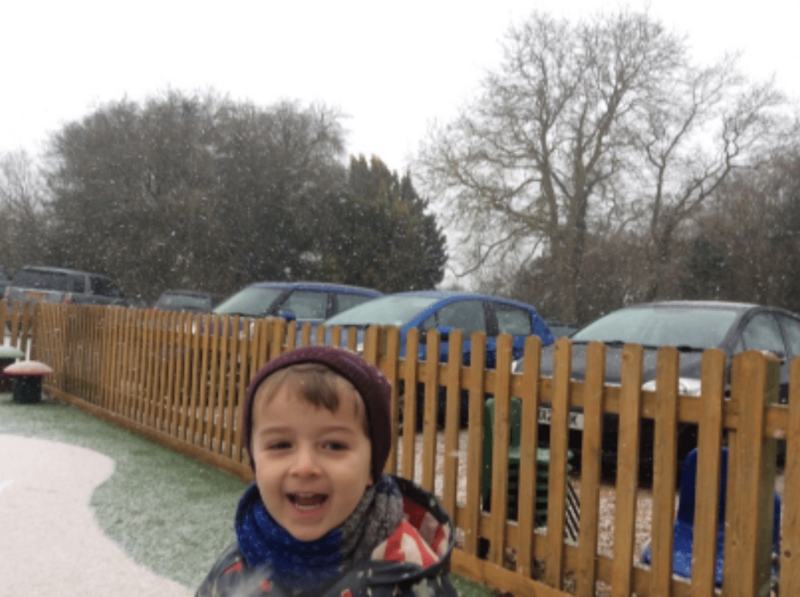 It snowed in January, The Butterflies got wrapped up and we went outside. 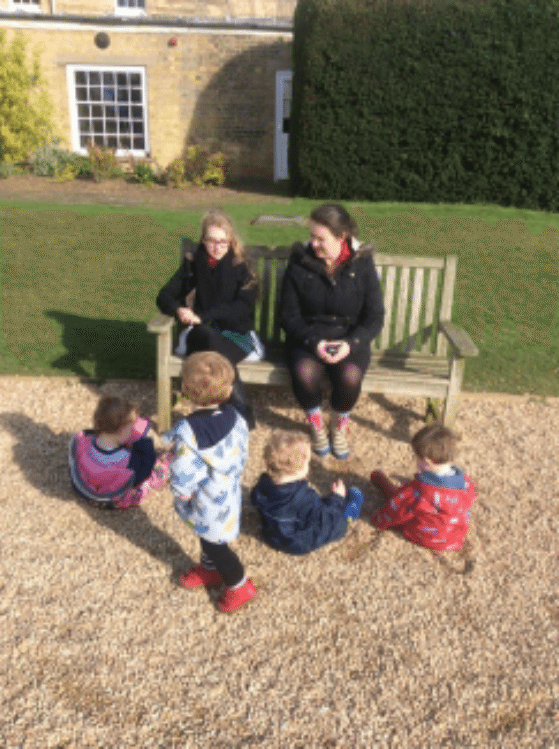 The children used the iPads to take photographs. 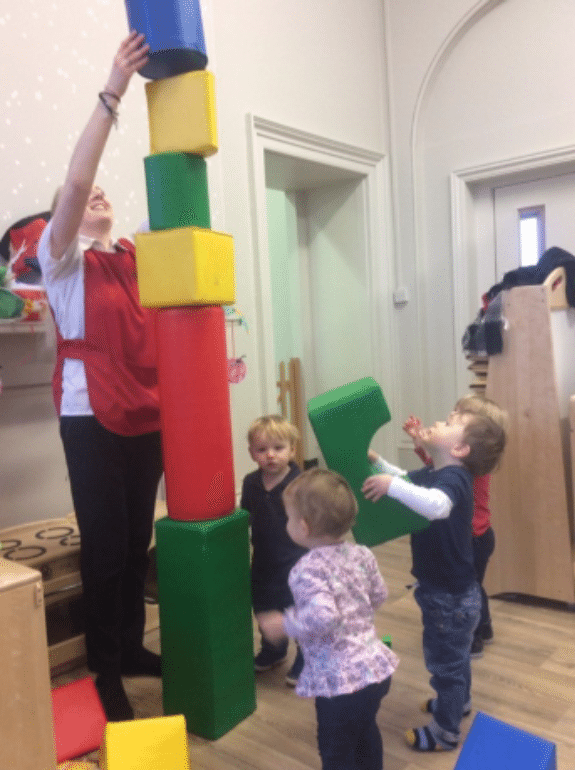 The Ladybirds built tall towers with the soft bricks, which was so much fun. 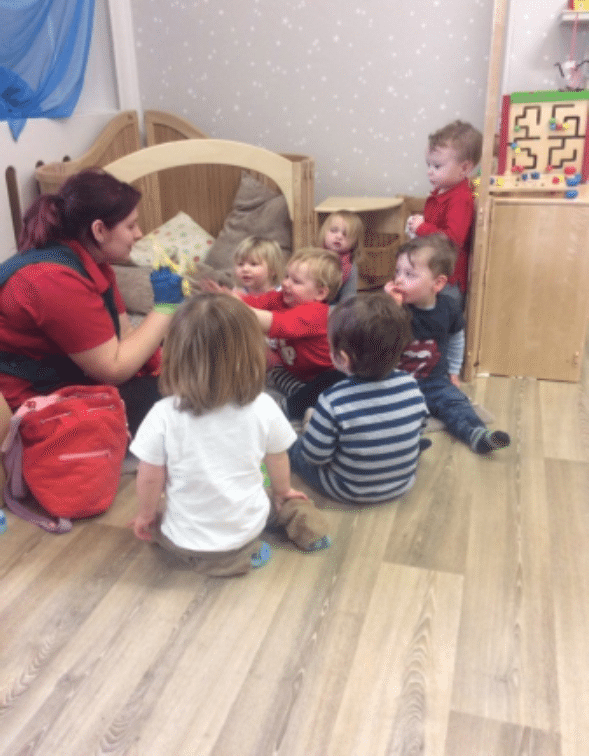 The Caterpillars have been enjoying lots of stories with our story sacks and puppets. 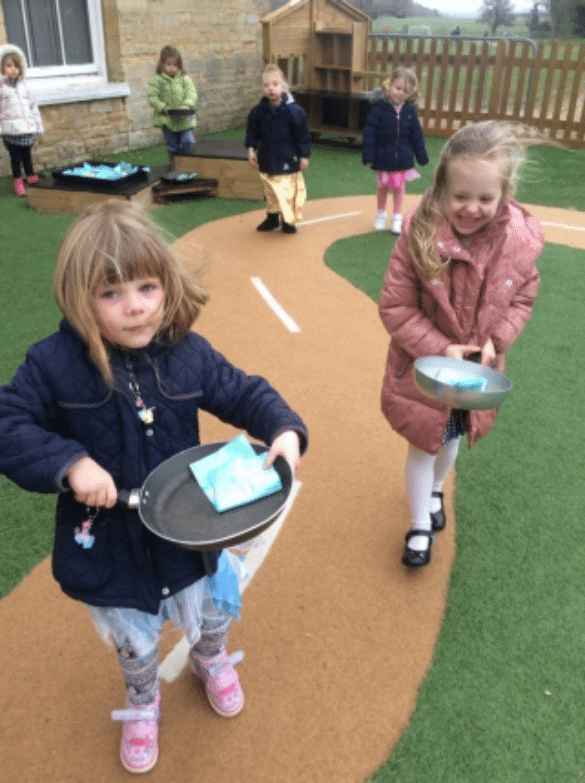 Butterflies celebrated pancake day, by having a pancake race. Caterpillars got creative with tissue paper this month. 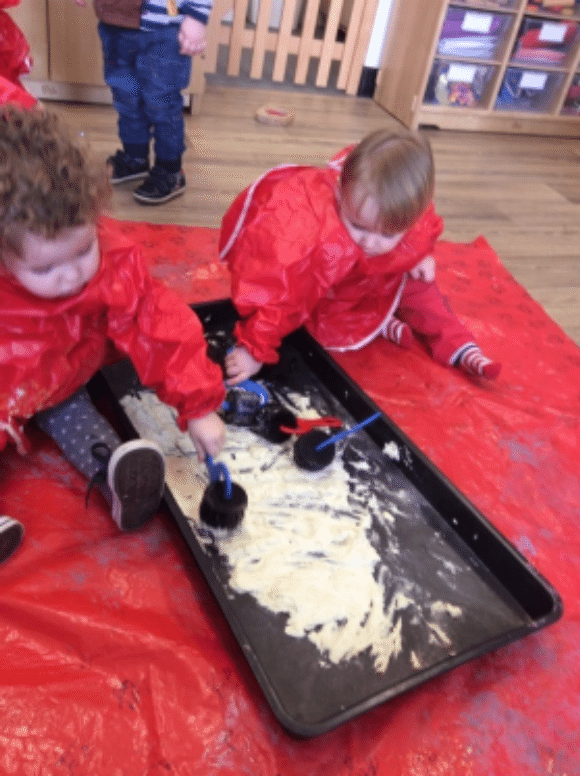 The Ladybirds enjoyed getting messy with semolina. Ladybirds went on lots of walks in March and made the most of the weather. 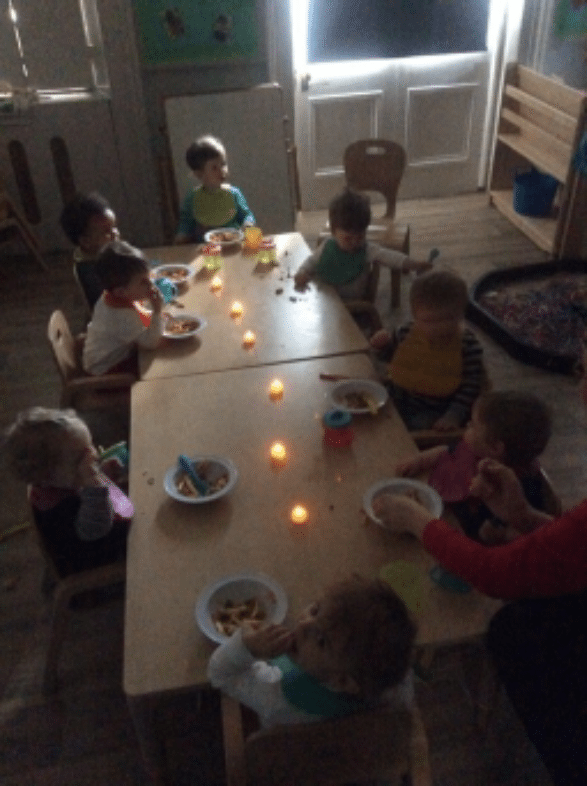 This was a special month as we celebrated Earth’s Hour. The Butterflies recycled glass jars and decorated them in Earth colours. 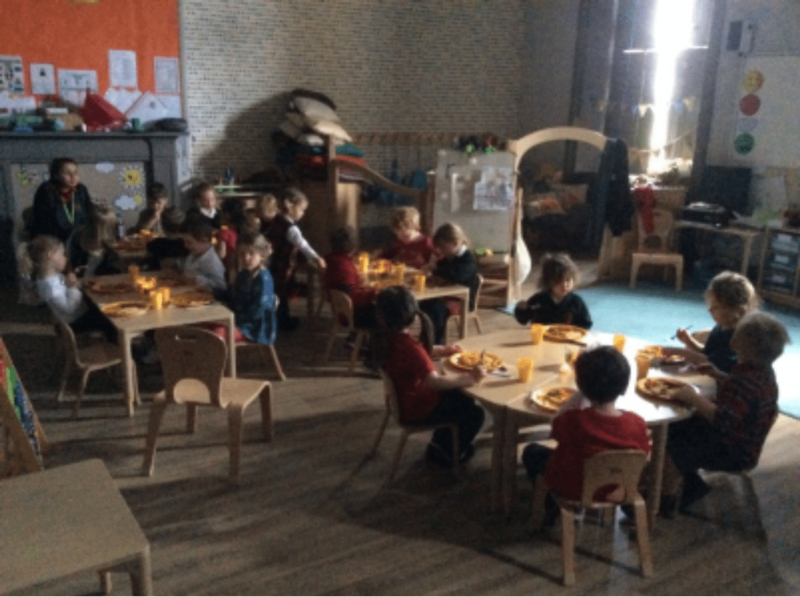 At lunchtime we turned off all the lights for an hour and had our lunch by candle light. Thank You to all the Parents that shared their Earth hour photos.